Richland Landing Submarket pricing of waterfront property Richland landing is an idyllic community of water, sky and expansive land. It is situated on Betty Creek just off of the famous Goose Creek and the Pamlico River. Richland Landing offers you every outdoor opportunity that the Inner Banks of North Carolina has to offer. World class fishing for both fresh and saltwater species, a high concentration of flora and fauna and unfettered boating and sailing are all there. All of our offerings at Richland Landing are waterfront. Richland Landing large waterfront lot prices start from $169,990. For maps, directions, prices and more information contact us today. 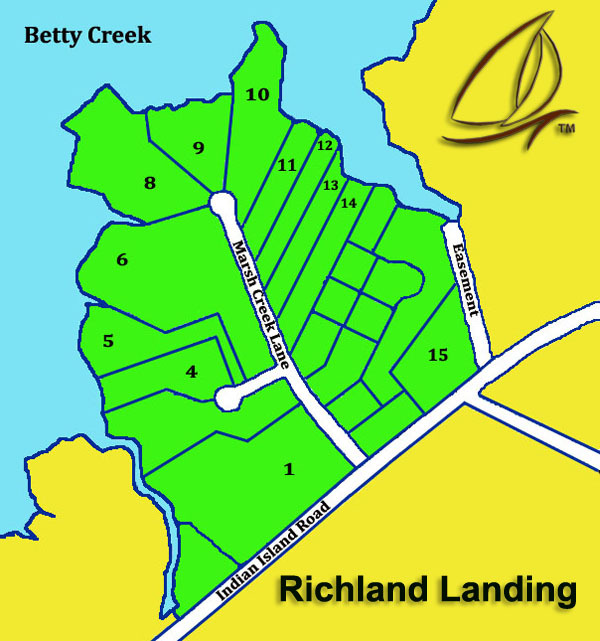 Richland Landing is located in Beaufort County close to Aurora and Hobucken, NC. There is only one word to describe the area and it’s, “Beautiful”. Add the word, “Affordable” and you’ve just described Richland Landing. The sub-division includes county water and private septic, protective covenants and paved roads.